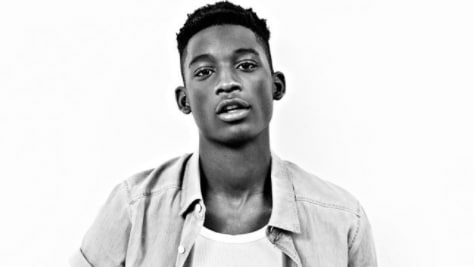 The international fashion community is mourning a grave loss this weekend following reports that emerging British model Harry Uzoka has been killed as a result of knife violence in a tragic slaying taking place across the pond. According to reports, the 25-year-old model was fatally stabbed in London on Thursday (Jan. 11) and was pronounced dead at the scene after paramedics were not able to revive him. As reported, two male suspects aged 27 and 28 have been taken into custody in connection with the brutal crime, one that detective inspector Beverley Kofi shared with The Guardian was "an attempted robbery gone wrong." Uzoka, who was signed to Premier Model Management, the agency that helped launched the careers of Naomi Campbell and Claudia Schiffer, worked with a variety of well-known brands, including Zara, Everlane, G-Star Raw, Levi's, ALDO and more. Following the horrific news of Uzoka's murder, many colleagues and companies alike have taken to social media, including model Jourdan Dunn, singer MNEK and British GQ, to react to the news and share beautiful words of tribute, with many referring to the late model as an "inspiration to young Black men." Our condolences go out to Harry Uzoka's family and loved ones during this difficult time. Take a look at some of the touching tributes honoring his life and legacy, below.